You might be thinking, “oh well, that’s how the cookie crumbles; not everyone can get lucky.” Unfortunately, this isn’t simply a question of “getting lucky” or not. Rejected developers and publishers — aka the majority — find themselves faced with a difficult decision: rush to release their game before SoA or wait to release after SoA. If they release before SoA, it may compromise the game’s quality and/or pit the game against many other high quality games that were rejected and released early (it also truncates the time that a company has to execute marketing activities). If they release after SoA, they’re pitting their game against the SoA titles and/or the retail holiday titles… a scary proposition. 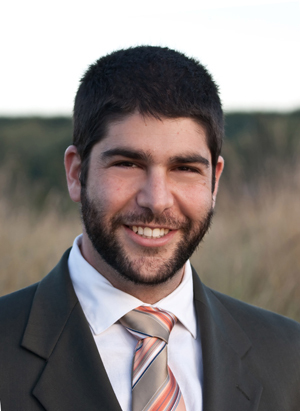 Some developers might also lack the financial flexibility to delay launch for very long. Either way, this feels like a lose/lose situation to developers and publishers, and it makes many of them angry. The fact that Microsoft only distributes one game per week during SoA only exacerbates the situation because it contributes to an overabundance of competition before and after. So what can Microsoft do to change things? So what does this mean for Summer of Arcade? I can imagine four likely scenarios. The first scenario is that Summer of Arcade simply goes away, but I doubt that will happen. The second scenario is that Microsoft stops limiting which games can be released during Summer of Arcade, but only promotes “the chosen ones.” Unfortunately, this may confuse consumers, and it will still offend many developers and publishers who hoped to be “chosen” and now find themselves competing against overwhelming PR firepower, so it isn’t a great solution. The fourth and final scenario is simply: Microsoft introduces more “top-tier” promotions that developers and publishers care as much about as Summer of Arcade. There have already been attempts by Microsoft to do this, but I would argue that none of these new events have resonated with the community quite like SoA did when it first launched. It’s hard to know why, but perhaps the reason is that these new promotions have not been sufficiently differentiated from SoA. Bottom line: *if* Microsoft can somehow create a few more promotions as compelling as SoA, the net result should be greater total sales for the platform and fewer developers/publishers obsessed with getting into SoA. I really don’t know which of these scenarios will play out. But no matter which, I’m confident that given the increasingly negative feelings developers and publishers have about Summer of Arcade, it’s only a matter of time before the promotion changes in some sort of significant way or at very least is rendered “less important” by the introduction of other, more meaningful promotions. So perhaps the real question underlying this post is: what kind of platform (and what kind of retailer) does Microsoft want XBLA to be? We’ll soon find out. PS. A special thanks to Kim Pallister for his help with this post. David, isn’t your last scenario just what Microsoft have tried with the House Party/Block Party promotion? With 50 potential release slots per year (give or take a few depending on where holidays fall), it shouldn’t be hard to find, say 4 “5-game” slots per year – maybe one per season, for the big game promotions. How about a “Hot Holidays” promo, summer of arcade, Block Party and a “fall Classics” promo? > with the House Party/Block Party promotion? This is why I prefer more open platforms, much more interesting chaos. With these kinds of platform management question there are actually sensible solutions, with open platforms it’s much more wild west, you make your own destiny to a great extent (or perhaps, your ad budget does). An interesting comparison is MacHeist. Though it’s had its critics and detractors, it’s been reasonably successful at its goal of promoting mac software. 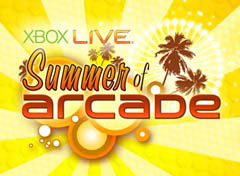 funny people not named Jeremy Wacksman in Microsoft marketing continue to take credit for coming up with the idea of Summer of Arcade. Some of them have been over rewarded as a result. sad. If I were Microsoft, I would do what’s best for my marketplace too. It’s like you said at DDS in Melbourne last year David, making a great quality game isn’t enough as Microsoft will have to choose what’s best for its marketplace almost per season or situation. As a developer and fan of XBLA, I would like to see your final suggestion in the form of seasonal promotions, whether or not they include the season in the title. I think marketing has the space for 4 promoted games per season and it should make use of the concept were games may otherwise slip through under the radar.